Say his name five times and he appears like Candyman. Unlike Candyman though, Romeo won’t be killing anyone or anything anytime soon, not while he’s riding the bench at USC. Percy Jr. is the son of No Limit Record artist and P. Miller Enterprises CEO Percy Miller; (also known by the stage name Master P). Percy Sr. is not your average rapper, he graduated from the University of Houston and quickly became one of the first rapper-entrepreneurs. In 1998, Master P ranked 10th on Forbes 40 highest paid entertainers; his income was estimated to be about $56.5 million dollars a year. 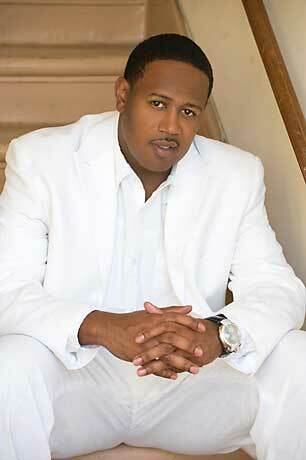 Percy Miller became successful as a result of his rap persona Master P and his record label No Limit Records. In 1998, Forbes ranked him the 10th on their "40 Highest Paid Entertainers" list. Miller continued his business ventures by starting No Limit Sports, a sports talent agency. Their biggest client was Ricky Williams; Williams’s rookie contract in New Orleans was none other than the handiwork of Master P and his associate Leland Hardy. No Limit Sports represented Ron Mercer and Ricky Davis as well. Percy Sr. even has a little bit of game. 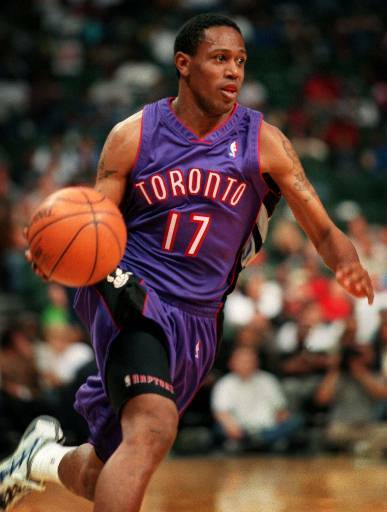 In 1998 he received a contract to play for the Charlotte Hornets, the following year he had a try out with the Toronto Raptors, but was cut in the preseason. In 2004, Miller played for the ABA Las Vegas Rattlers after playing a year in the CBA with the Fort Wayne Fury. Miller has currently given up his hoops aspirations and become a family man; and he is not unlike most parents. As most parents would, Miller would like to see his son do two things: live longer than him, and be more successful than he was. The first is out of his hands, as for the second? Well Miller Sr. has done everything within his ability to ensure that it happens, especially on the basketball court. Congratulations, Mr. Miller. Romeo is now a freshman point guard at USC, a spot that he gained not as a result of his athletic ability but as the result of your social status and business savvy. In 2006, Romeo was invited to the Reebok ABCD Camp. The ABCD camp is the holy grail for prep basketball players; an invitation to this camp means that you have some serious talent. Kobe Bryant, Stephon Marbury, Lebron James, Carmelo Anthony and Tracy McGrady. The fact that Romeo was invited would cause most to assume that he is a high caliber athlete. Romeo only averaged two points a game at the ABCD; he was clearly over matched and definitely out of place. It caused many people to question why director of the camp, Sonny Vaccaro extended the invitation to Miller. In an article for the Wall Street Journal, Vaccaro said he invited Miller to the camp as a favor to his father, Percy Miller Sr. But if he’s not good enough to play at USC, how did he get there? Ask Head Coach, Tim Floyd. In the same article, Floyd told the WSJ, “Last April…Percy Miller called while driving both players from a tournament in Fayetteville, Ark…Percy Miller said ‘DeMar and Romeo are ready to make their decision, and would you like to have them both on scholarship?’…’I said absolutely”. This DeMar fellow that Floyd and Miller both mention? Well he is none other than DeMar DeRozan. A 6 foot 6 inch All-American forward. In 2007, DeRozan was the fifth best player in the country, and a five star recruit according to Scout.com. Romeo Miller on the other hand was unranked, with one star. Romeo had no other division one offers other than USC. Is Miller a bad player though? The 5’11 180 pound junior averaged 13.9 points and 5.6 assists in 2007. His senior year though he only averaged 8.6 points and 9.0 assists. He only played in eight games though due to a strained hip flexor and bruised knee. He sat out to get ready for college basketball. (Good idea since he didn’t have options other than USC). Romeo Miller (left) was invited to the prestigious ABCD camp and given a scholarship to USC. However, after a recent statement by USC coach Tim Floyd, it has been made apparent Romeo's accomplishments are a result of his dad, Percy Miller's (right) fame. In my opinion, Percy Miller Jr is a division two player. Well Sonny Vaccaro already said no, and after this year I’m guessing Tim Floyd would share the same sentiment. Romeo is averaging 0.5 ppg, 0.2 apg, 0.3 rpg and is shooting 33% from the free throw line. God awful right? Well that’s because he only plays two minutes a game! Its rare because scholarships do not come cheap, especially not at USC. The scholarship Romeo received is estimated to be about $44,000 a year. I’m not upset with Romeo for taking the scholarship, its most athlete’s dream to play at the division one level, so I understand completely. But I wonder, what about the walk-ons, and the kids who might have more talent but have just lost a spot on the roster thanks to Romeo’s father. Also, what about the kid who didn’t get an invitation to the ABCD camp because his dad wasn’t a music mogul? So here is a cliche that has once again been proven true: Life isn’t fair. And in my opinion, it’s a sad day when a team will sacrifice talent for ticket sales. I leave you with two videos, one of DeMar DeRozan a high school All-American, who is now averaging 12.9 ppg and 5.3 rpg for the Trojans; and the other is Romeo Miller freshman point guard for USC. You decide which one looks like a division one prospect and which one doesn’t.